Family disputes over inheritances are nothing new. But parents planning their estates are becoming more wary about making sure inheritances stay with the sibling rather than potentially be hijacked by a partner. With one-in-three marriages in Australia ending in divorce, and defactos having the same rights as married couples, it’s important for parents to consider how estate plans are impacted if their child’s relationship ends. Both marriages and de facto relationships are subject to federal laws which govern the division of property and, without proper planning, it’s possible for beneficiaries to lose half of their inheritance in a future split. While we all hope it won’t come to that, when it concerns a legacy it’s best to play it safe, so here are three strategies to help keep your estate in the family. Every family is different and putting together a legally sound, tax-effective estate plan can be a big task. For families looking to protect their estate, RK Financial Planning’s Robert Reid says a practical option can be to set up a testamentary trust through their will instead of leaving assets directly to their chosen beneficiaries. Establishing a testamentary trust can protect assets from claims against beneficiaries, and can also be highly tax-effective compared with a direct transfer of ownership. As an example, say Scott has been married to Emily for five years and has recently received a $200,000 inheritance from his dad. Soon after the money arrives, Emily files for divorce. But if they’re held under a trust, Scott’s inheritance may be protected and considered separate from the matrimonial pool. If the assets are bequeathed directly in Scott’s name, they could easily be considered part of the matrimonial pool and be divided between the two parties. But if they’re held under a trust, Scott’s inheritance may be protected and considered separate from the matrimonial pool. That said, there are no hard and fast rules here, and it’s important to realise the Family Court has wide-ranging powers to decide which assets are included in any divorce property settlement. Another common situation is when parents provide financial assistance to their kids, for example helping them out with a house deposit. This can be a dangerous game if their relationship is on the rocks and the money is simply gifted or lent under an informal loan agreement. 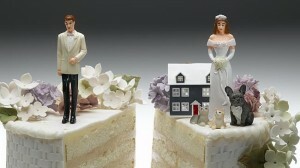 If the relationship ends it could end up in their partner’s hands as part of the settlement. Say Louise is lent $80,000 by her parents to buy a house with her partner John, but no formal agreement is put in place. If the relationship ends, John may be entitled to his share of the equity in the house, including the loan amount, while Louise will still be liable for the informal loan from her parents, whose good deed has actually backfired and lost the family money. However, if Louise and her parents had organised a formal loan agreement complete with interest charges and set repayment dates, the loan would be much more likely to count as a personal liability for Louise and excluded from the division of property. Just don’t try and dress up a gift as a “loan” with some basic documentation. As Reid says, the more it looks and smells like a gift, the more likely it’ll be treated as such. For people who have already received an inheritance and want to protect it from their partner should they separate, binding financial agreements (or prenups in Hollywood terms) are an option. These are signed by both parties before or during a relationship and govern how assets are distributed in the event of it ending. Although, again, the Family Law Courts can declare the agreement invalid if it’s challenged. While kicking off a relationship with one eye on the exit is never a good start, binding financial agreements can have their place. Whatever approach you take to protect assets, it’s best to get expert advice from a financial planner, as well as an estate planning lawyer, to ensure you’re covered.